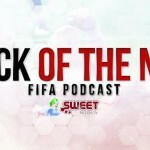 Welcome to Episode 85 of the Back of the Net: FIFA Podcast in partnership with Sweetpatch TV. This is your weekly FIFA, Sports and Banter Podcast. Adam is back this week and they talk about when FIFA 13 UT went down and much more.